Every once in a while an astronomy book comes out that combines stunning high-definition images from the world’s most advanced telescopes, comprehensive descriptions of cosmic objects that are both approachable and easy to understand (but not overly simplistic) and a gorgeous layout that makes every page spread visually exciting and enjoyable. 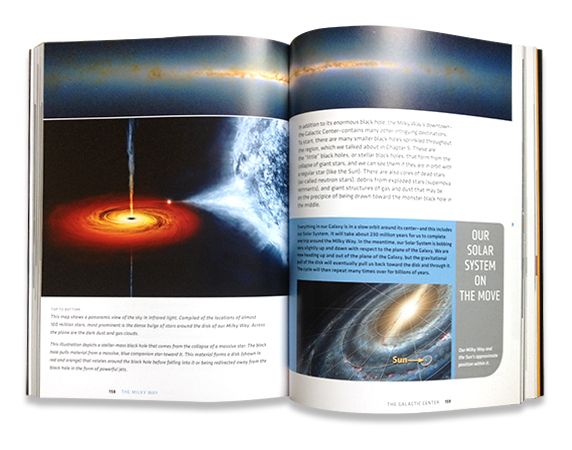 Your Ticket to the Universe is full of images and graphics of astronomical wonders. 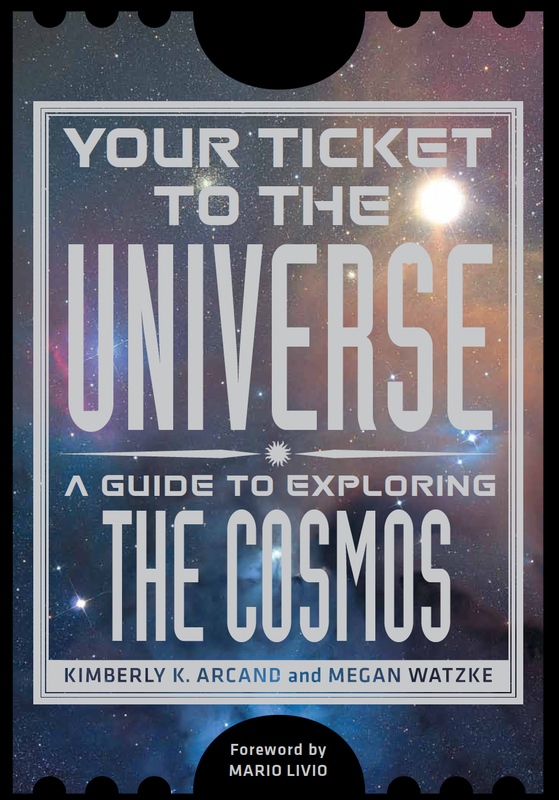 Your Ticket to the Universe: A Guide to Exploring the Cosmos is a wonderful astronomy book by Kimberly K. Arcand and Megan Watzke, media coordinator and press officer for NASA’s Chandra X-ray Observatory, respectively. Published by Smithsonian Books, it features 240 pages of gorgeous glossy images from space exploration missions, from the “backyard” of our own Solar System to the more exotic environments found throughout the Galaxy… and even beyond to the very edges of the visible Universe itself. I’ve had the pleasure of meeting co-author Kimberly Arcand on several occasions — I attended high school with her husband — and her knowledge about astronomy imaging as well as her ability to present it in an understandable way is truly impressive, to say the least. She’s an enthusiastic ambassador for space exploration, and Your Ticket to the Universe only serves to further demonstrate that. I highly recommend it for anyone who finds our Universe fascinating. It really is Jeff. Lots of great info and pictures! Lots of great info and pictures thus. And as you write it Jason “comprehensive descriptions of cosmic objects that are both approachable and easy to understand”.